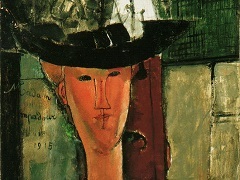 After receiving his artistic training in Italy, the sculptor and painter Amedeo Modigliani moved to Paris in 1906. Three years later, he helped pioneer a general migration of artists to the neighborhood of Montparnasse, which remained the center of avant-garde activity in the city until World War II. Scores of artists lived there, and many of them shared a Jewish heritage - including Modigliani and his friend the Lithuanian-born sculptor Jacques Lipchitz. 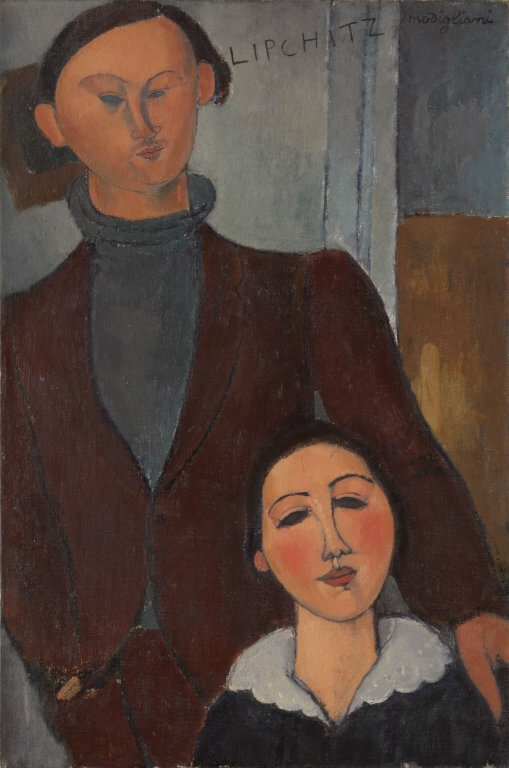 Lipchitz commissioned Modigliani to paint this portrait on the occasion of his marriage to the Russian poet Berthe Kitrosser, as a way of helping his troubled friend financially. The double portrait is one of only three in the artist's oeuvre and, according to Lipchitz, took two days to paint. 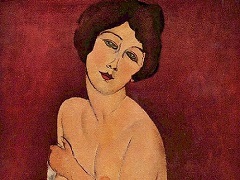 Modigliani made about twenty drawings on the first day; the next day, he declared the picture finished. 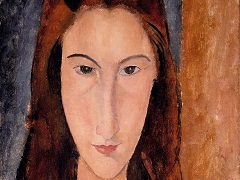 At the modest price of what Lipchitz remembered as "ten francs per sitting and a little alcohol," however, he persuaded Modigliani to work on the portrait for another two weeks in an effort to provide more financial assistance to his friend. Despite Modigliani's exceptional talent, his work found a market only after his death in 1920, which was hastened by tuberculosis and his legendary bohemian lifestyle.